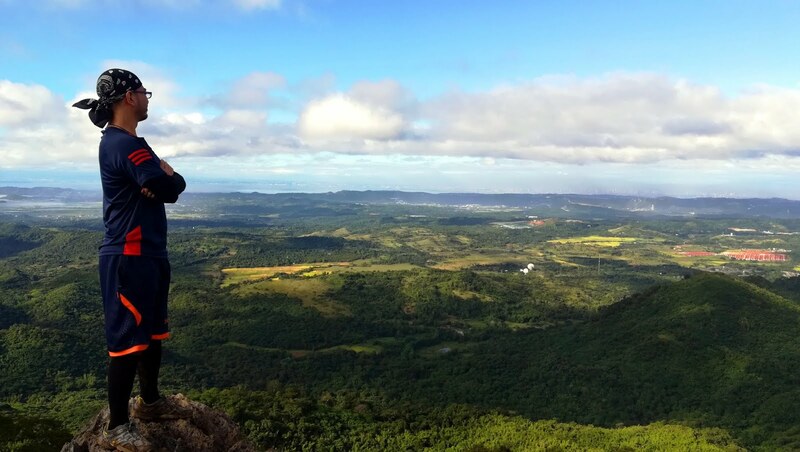 Located along the southern end of the Sierra Madre Mountain Range in Tanay, Rizal, Mt. 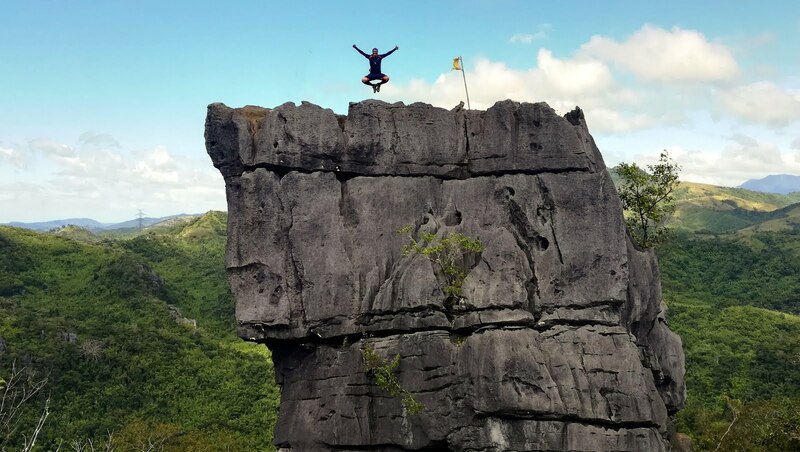 Masungki features jagged limestone rock formations, sheer towering cliffs and bluffs and precarious crags so characteristic of the mountains of Rizal. The name itself, Masungki, means uneven or jagged in Tagalog. Among the towering rock formations of this area is the Nagpatong Rock, a formidable-looking piece of rock made up of layers of limestone stacked together forming a majestic cliff. 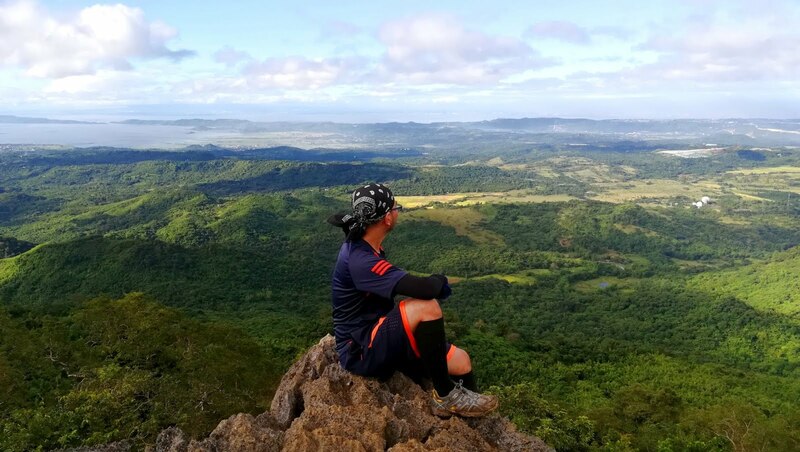 Home to the native Dumagat tribe, the mountain forms part of the ancestral domain of this native people. Located in Brgy. Cuyambay which is where the Maysawa Circuit and Mt. Paliparan are also located, it is accessible by public transport from Cubao via Cogeo going to Sampaloc. As part of an organized hike event, I met-up with the participants and organizers at Boni Avenue at around 1:00 AM. 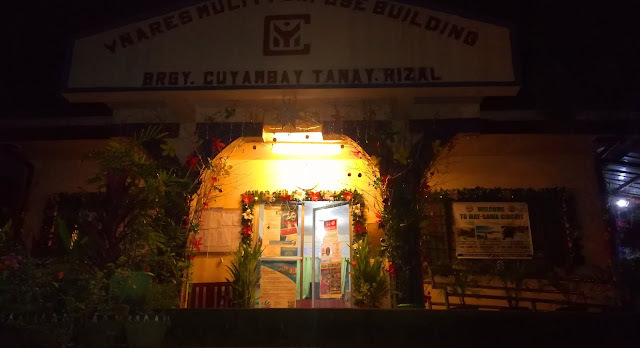 After about 3 hours of travel time, including several stops to round up the rest of the participants at their respective pickup points, we reached the barangay hall of Brgy. Cuyambay where we registered. After all the formalities and preparations, we started the hike a few minutes after 5:00 AM, still dark and the air was chilly. The initial portions of the trail is quite easy and manageable. The only difficulty was with the mud, as it has rained days before, and the darkness of the early morning hike. 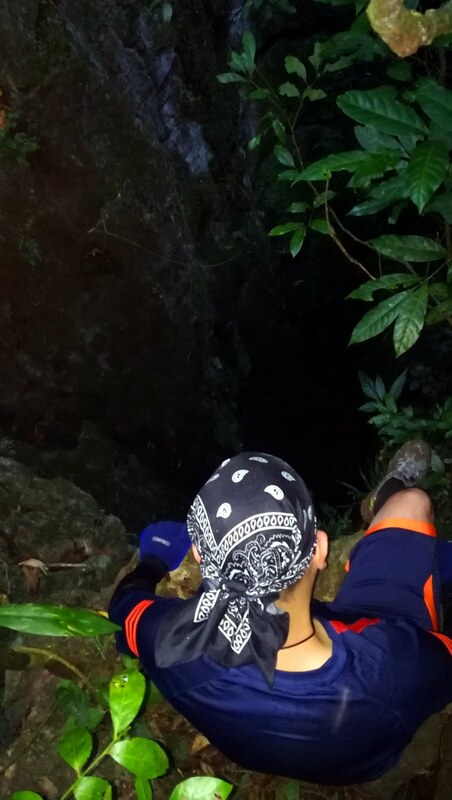 Along the way are several sinkholes falling several meters deep. After around an hour and a half, we reached a store the guide refers to as the "7-11". Here the group decided to rest. After around 20 minutes of rest, we pushed on towards the summit. The trail runs through a second-growth forest studded with huge rocks and boulders which requires a bit of scrambling from time to time. 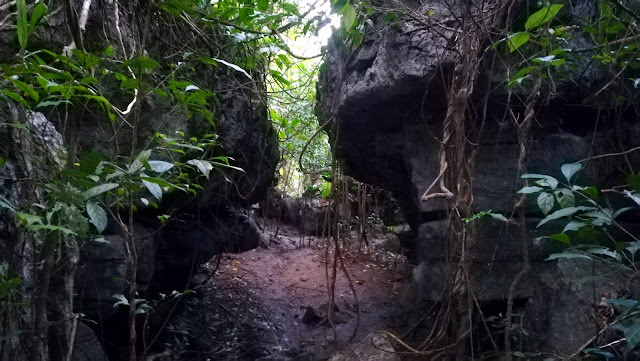 Portions of the trail also run on narrow and dark passages and tunnels. 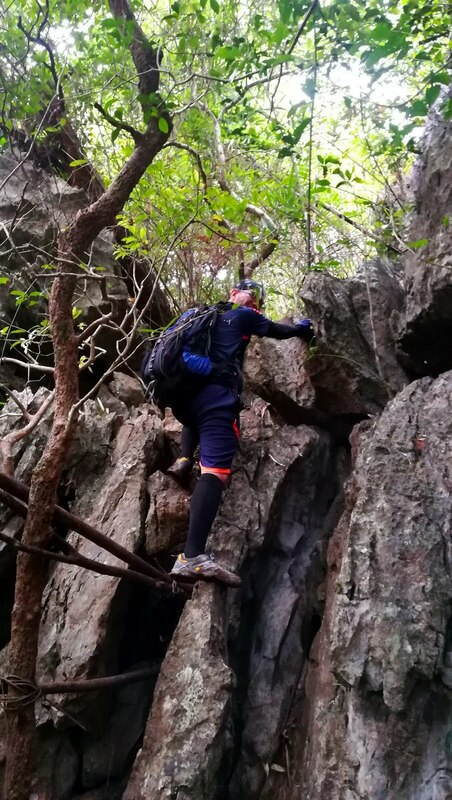 As the trail is quite muddy, extreme caution is required to safely navigate the sharp and slippery rocky outcrops along the trail. The final assault towards the summit of Mt. 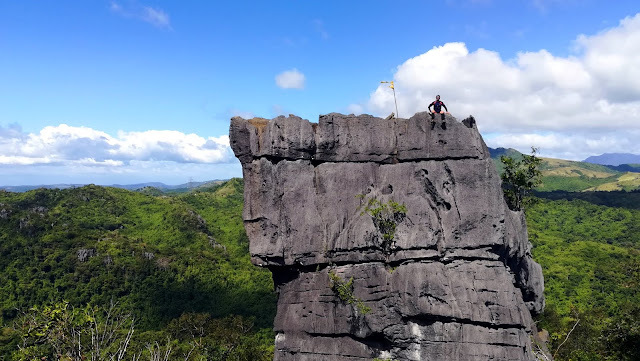 Masungki consisted of limestone scrambling on sharp and jagged collection of boulders before reaching what hikers refer to as the "billboard" of Mt. Masungki. From this point, a few more minutes of scrambling and the actual peak forming the summit of Mt. Masungki can be reached. We reached the summit at 7:52 AM, almost 3 hours after the start of the hike. 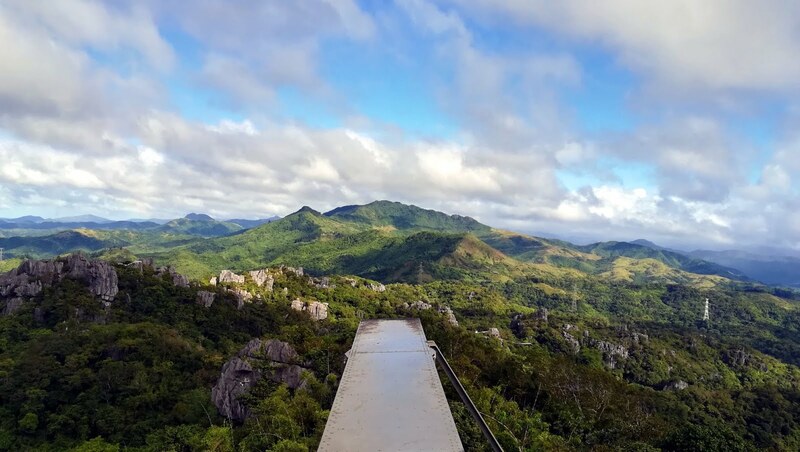 The billboard (which the guide said was built during the Marcos administration but they don't have any idea what it was for) and the summit offer spectacular views of the mountains of the southern Sierra Madre and the mountains of southern Luzon. The nearby Mt. Batolusong, Mts. Sapari and Binutasan, Mts. Maynoba and Cayabu as well as Mts. Irid and Tukduang Banoi can be seen from these points. 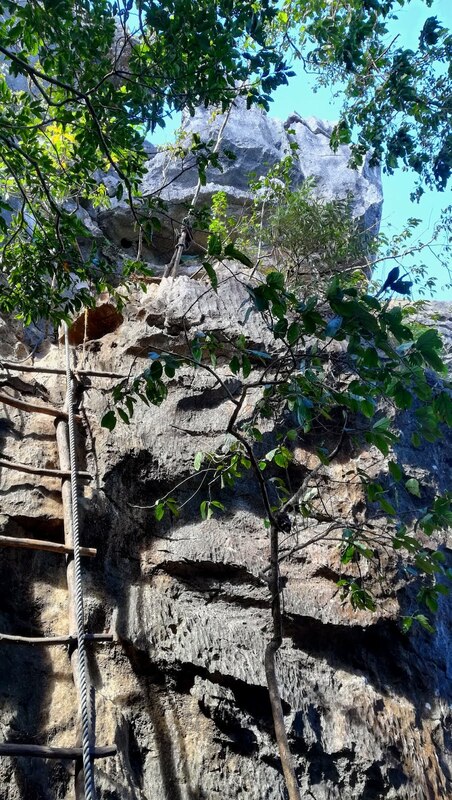 Even the pricey Masungi Georeserve can be seen clearly. 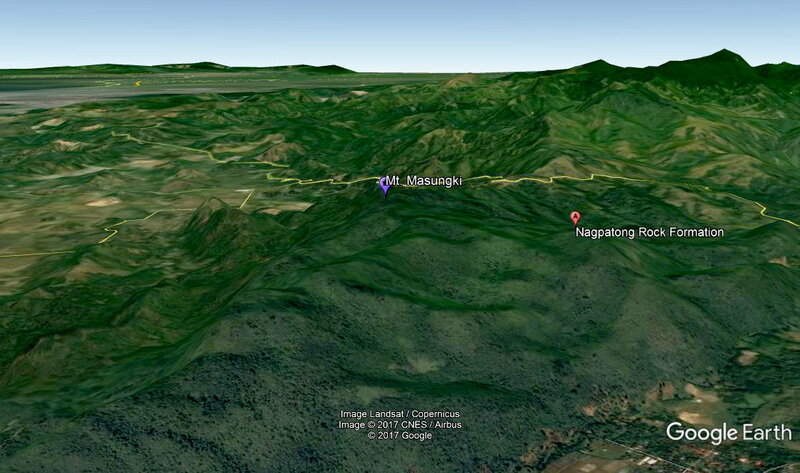 Towards the southwest are the mountains of southern Tagalog including Mt. 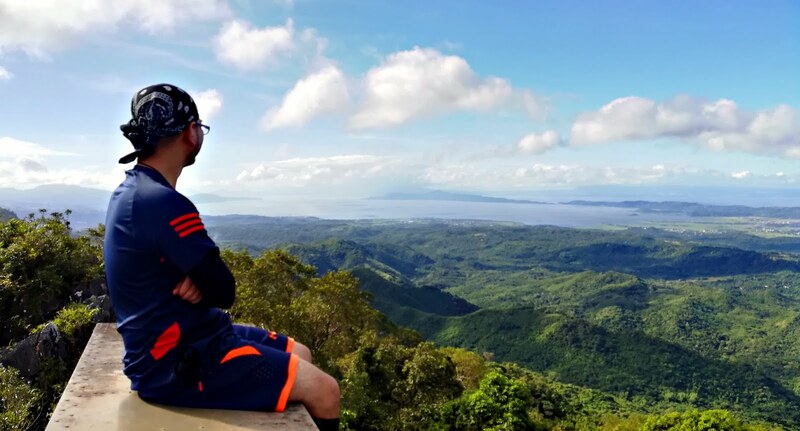 Tagapo, Mt. Sembrano and the more distant Mt. Makiling, as well as the expansive waters of Laguna de Bay. Even the tall skyscrapers of Makati and Ortigas, enveloped in a thick gray haze can be seen from these vantage points. 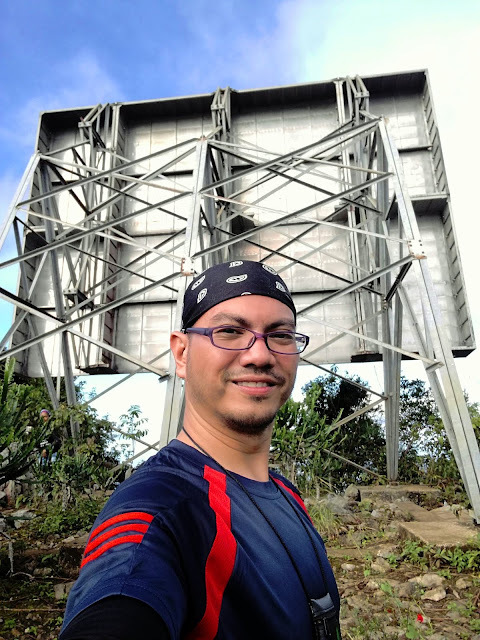 After spending about an hour and a half resting and snapping photos at the billboard and the summit, we started our descent at around 9:18 AM towards our next destination - Nagpatong Rock. 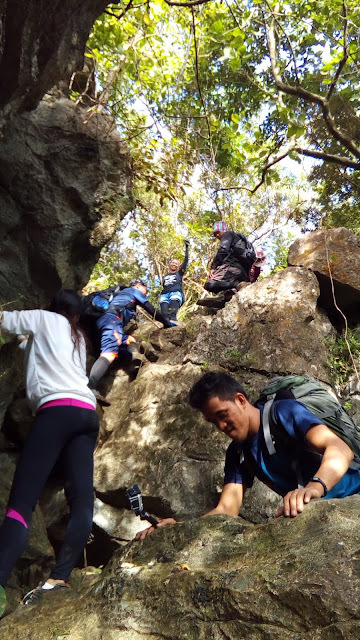 Passing through the same trail, tramping through the same mud and scrambling through the same rocky ourcrops, we reached Nagpatong Rock at around 10:45 AM. 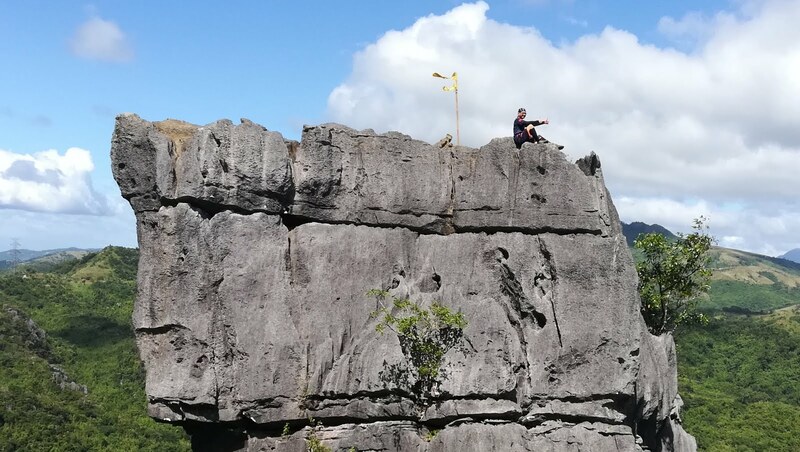 We rested for a few minutes at the base of this huge monolithic structure before finally embarking to scale it on its side and scramble up to reach the top of the rock. Several roped sections are in place to assist hikers and the trail guides are ready to lend a hand. After a few minutes of scrambling, we regrouped at the top and had our photos taken by the trail guide at the opposite side of the rock. Jumpshot at the top of the rock! When everyone have finally had their fill of poses and photo shoots, we finally started the hike back to the jump-off at around 11:40 AM. We reached the jump-off in less than an hour where we had our lunch at one of the local sari-sari stores. 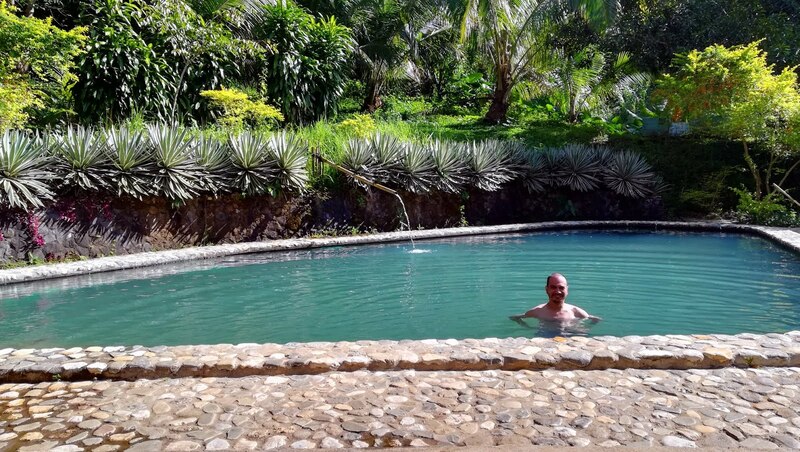 After everyone has rested and eaten, we decided to wash up and relax a bit at one local pool owned by a chatty and friendly elderly couple a few minutes drive away from the jump-off. They have a nice pool fed by a natural spring. The water was refreshingly cool and relaxing. With no chlorine or any chemical added the water was perfect for soothing tired muscles! It was such a nice way to cool off and end another wonderful dayhike. 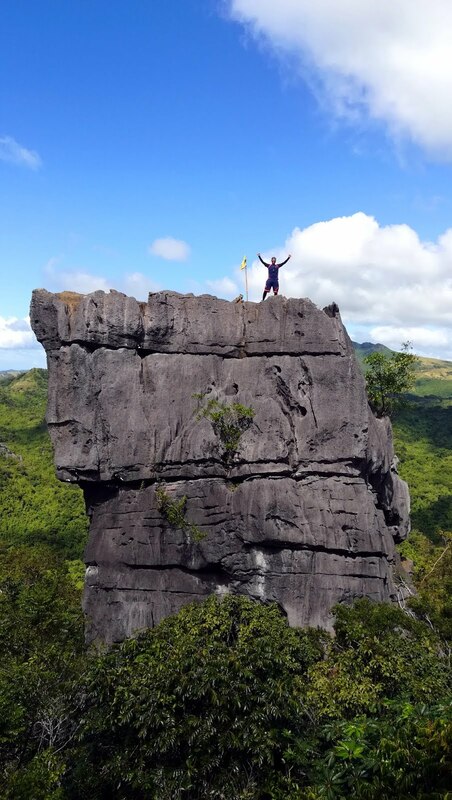 Another one of the treasures of Tanay, a quick dayhike to Mt. 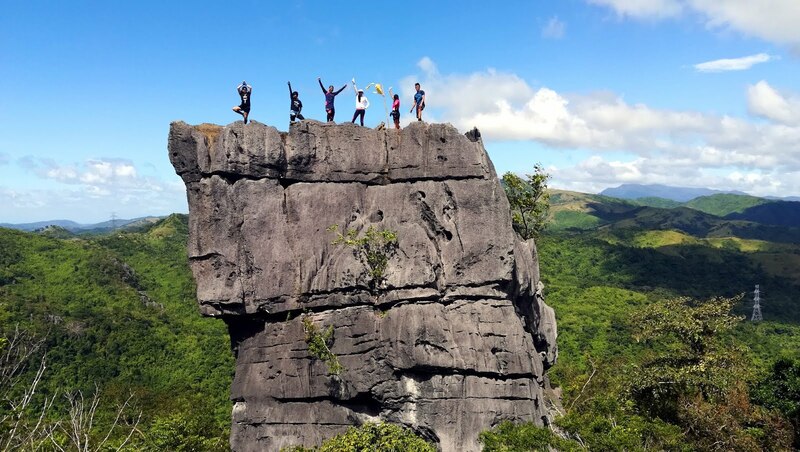 Masungki and Nagpatong Rock is a refreshing way to spend the weekend, experience the joys of hiking and work out a sweat to keep healthy and fit! From Cubao, ride a jeep bound for Cogeo (Php. 24.00), get off at Cogeo Gate 2. Ride a jeep bound for Sampaloc located at the City Mall of Antipolo (Php. 48.00). Jeepneys usually leave for Sampaloc once fully loaded with passengers and cargo. Tell the driver to drop you off at Brgy. Cuyambay crossing. You can either walk to the registration or ride a habal-habal (Php. 30.00) to reach the registration at the barangay hall. individual ba ang mandatory fee? or pwd group? Hi sir, yung guide fee ng Php. 500.00 is good for 5 persons na po, as well as the additional Php 250.00 for Nagpatong and Ikmo rocks, per group na din. Yung registration fee na Php. 100.00 ay per person naman po. Thanks for the comment and enjoy hiking! Hi po! How to get in touch with a guide before the hike? Hi! Wala po akong contact ng guide ds Brgy. Cuyambay eh, pero no need to get in touch with the guide before the hike, you can just walk in sa barangay, madami na nakapilang guides dun. Thanks for the comment and enjoy hiking! Hello po, Im wondering po, do you know po ba how much the guide fee po per person since tatlo lang naman po kami. kasi registration fee po 100 pesos po per person how much naman po sa guide fee per person? Thank you po. Hello Mam Katie! Php. 500 po and guide fee kung Mt. Masungki lang, additional Php. 250 kung pupunta din kayo ng Nagpatong Rock, so kung 3 kayo hati-hati papatak po na Php. 167 each kung Mt. Masungki lang (167 X 3 = 500) or Php. 250 each (250 X 3 = 750) kung pupunta din kayo ng Nagpatong Rock. 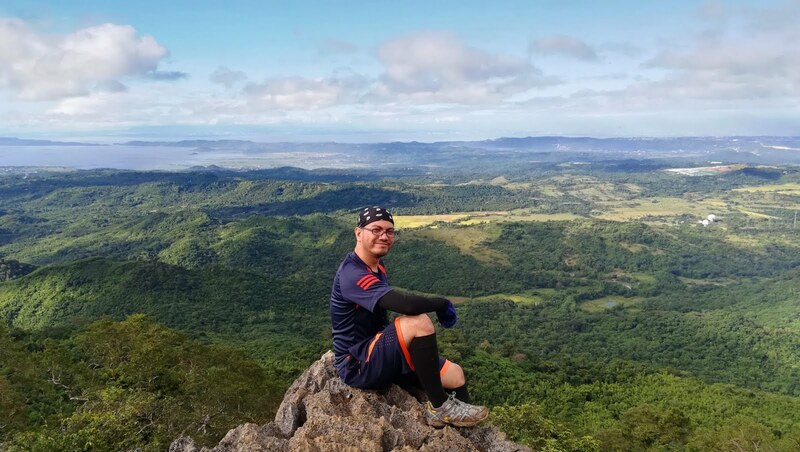 Thanks for the comment and enjoy hiking! 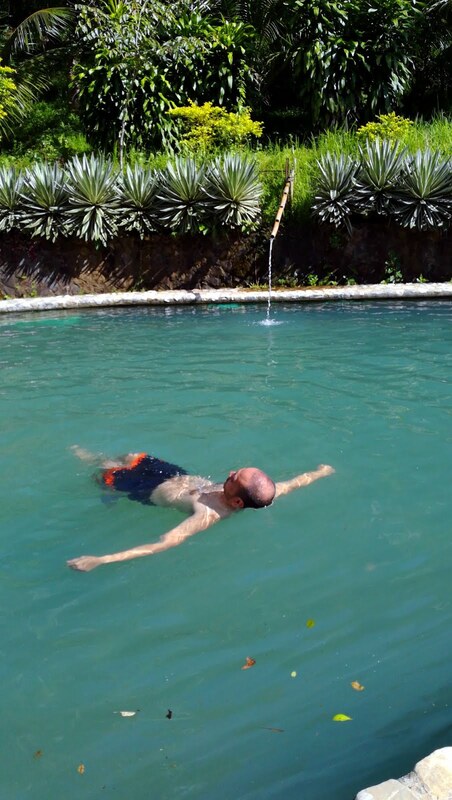 Hi po.May I ask po yung name nung resort na may natural spring? And how to get there po from jump-off? Ka Willy's pool po yung swimming pool, nagpasama lng po kami sa guide papunta dun, malapit lng sa jump-off. Thanks for the comment and enjoy hiking! Good day po! :D the same po ba yung tour guide fee kung mag-oovernight yung group? Thanks po! Sorry for the late reply. 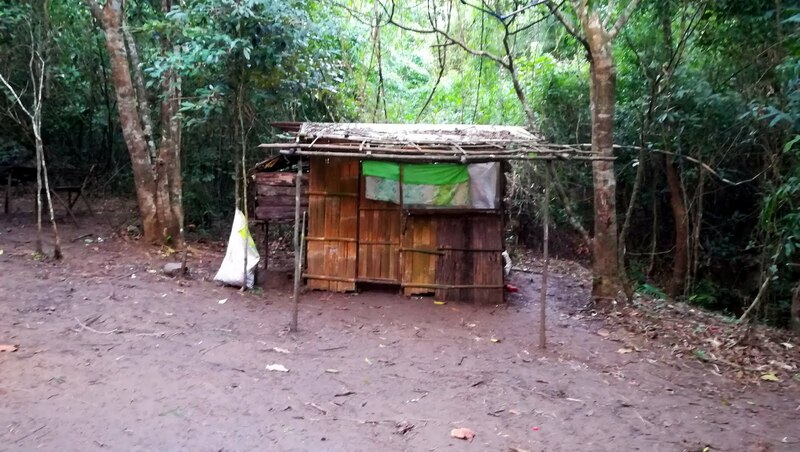 Ang pagkaka-alam ko po pag overnight ay Php. 1,250.00 po ang guide fee. Thanks for the comment and see you on the trails! Salamat po! :D Keep safe! Hi! Ang jeep po from Cogeo to Sampaloc ang alam ko hanggang 6pm lang, yung mga habal naman laging meron sa pila. Thanks for the comment and enjoy hiking! Magkano po lahat ng nagastos niyo? event po yung sinamahan ko, kaya mga 800 lang gastos, mas malaki kung DIY kasi pamasahe 24 (cubao-cogeo)+48 (cogeo-cuyambay)+30 (crossing-bry. hall), guide 500, +250 nagpatong rock tapos pamasahe ulit pabalik. Saan located yung pool. May contact numbers po kayo. Malapit lng po sa jump off, nagpasama lng kami sa guide, wala po akong contact number eh. Hi ask ko lng po... Ung 500 + 250 na guide fee ilang tao po kasama??? Good for up to 5 persons po. Thanks for the comment! Saan bababa sa Tanay if from Cainta Junction kami? Tanay Public Market po, then either sakay kayo ng jeep pa Sampaloc, then from Sampaloc sakay kayo ulit ng jeep pa Cogeo tapos baba kayo sa Cuyambay Crossing, or pwede kayo mag special trip ng tricycle sa Tanay Public Market direcho ng Cuyambay junction pero expect nyo na mahal ang singil (di ko alam kung magkano di ko pa na try :P) Thanks for the comment and enjoy hiking! Magkano po bayad sa resort per head? Php. 50.00 po nung time na pumunta kami after ng hike, not sure kung same price pa din po until now. Thanks for the comment. Hello. Kung magisa lang possible ba na makisama sa ibang group na may guide? Pumapayag ba sila sa ganon? Para makatipid kasi kung magisa 500 din yon. Thanks! Posible po depende kung papayag yung group na sasabayan nyo. 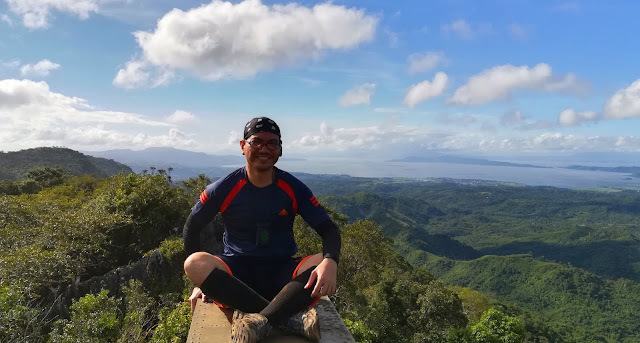 Basta po 5 hiker per guide ang ratio. Kung okey lang sa group na gusto nyo sabayan wala namang problema sa guide yun. 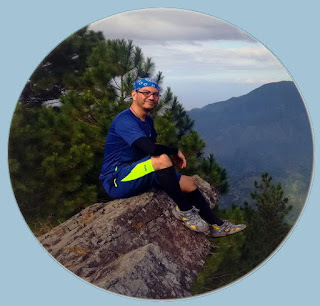 Thanks for the comment and see yiu on the trails! Hi sir Enciong! Yes sir pwede po kayo magpunta na direcho dun, no need for reservation or advance notice sir. Thanks for the comment and enjoy hiking! hi sir plan kc nmin n motorin ung papuntang brgy cayumbay kaya po ba ng mio? i mean may rough po ba ung papuntang jump off? Wala pong rough road sir! Starting from Cogeo gate 2 hanggang Cuyambay junction oo ay via Marilaque Road, then yung papunta mismo ng Cuyambay Hall sementado po yung daan kaso palusong. Kayang kaya po ng motor dun. 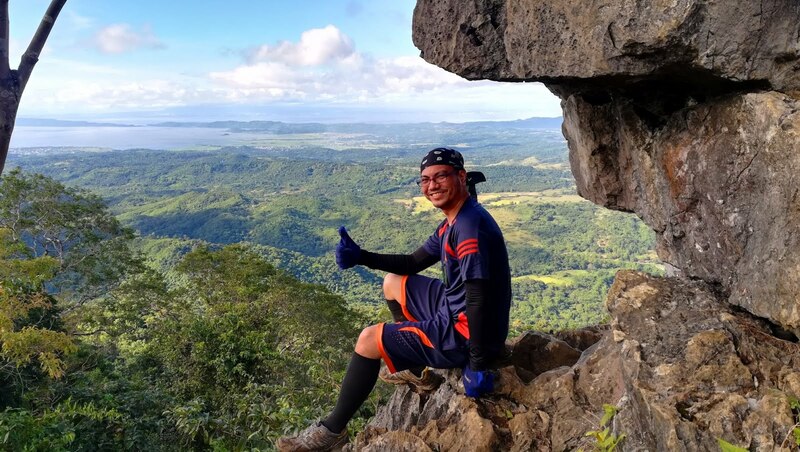 Thanks for the comment and enjoy hiking!